I’m about to show you a black, “mystery seed” that barely 1 in 100,000 Americans know about. What’s so amazing about this seed is even though Americans don’t know much about it. People all over the world incorporate these seeds in their diet to help boost their health. The seed I’m referring to is black cumin seed. Black cumin seed has little relation to the spice found in Mexican food. In fact, it resembles sesame seeds more than it does anything. And just like sesame seeds, which originate from the Middle and Far East, black cumin seed first became popular on the other side of the globe. Not just for its culinary uses, but also because it may help to improve a number of health issues. Thanks to its long use in ancient medicine it’s still being used today to improve health. And I’m going to show you exactly what it helps with. What Exactly Does Black Cumin Seed Help With? Black Cumin Seed may have been popular as a form of medicine for thousands of years, but I only discovered it recently. Seeing just how powerful it is, it’s one of the only supplements I’ve committed my time to making myself. Here’s what a colleague of mine, Dr. Kara Fitzgerald, says about Black Cumin Seed. 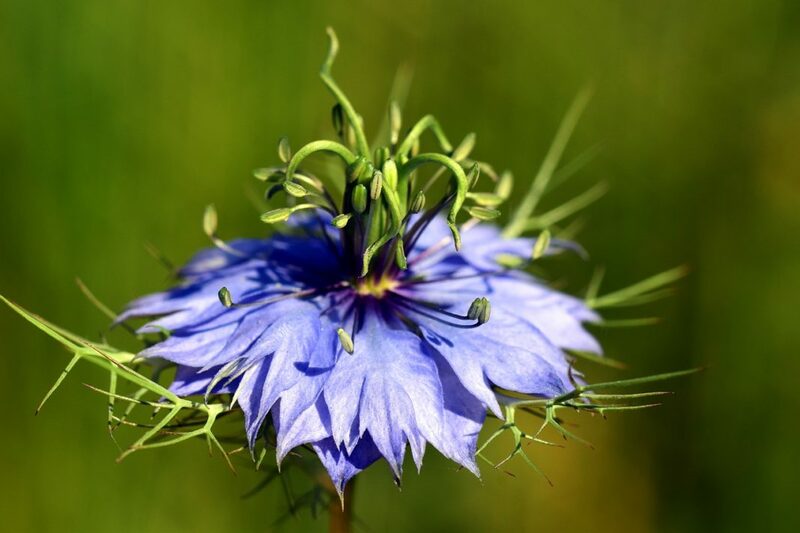 The black seed of nigella sativa (black cumin seed) has been used for over three thousand years for preventing and treating many different diseases. In ancient texts and historical documents black cumin seed is noted for its therapeutic attributes and ability to support the body in its own natural healing processes. Archeological studies report that black cumin seed seeds have been found in several sites from ancient Egypt, including in the tomb of Tutankhamun. It has been revered as a beauty secret since ancient times as Queen Nefertiti, renowned for her complexion, was reportedly a devoted black cumin seed user. The Muslim scholar, Al-Bukhari, is credited with the statement that black cumin seed is a cure for all except death. Yes, it’s that well regarded. The fact most people don’t know about it really is a shame. This supplement could replace other dietary supplements you’re taking. It’ll be a nice one-for-one exchange; with the added benefit that black cumin seed may benefit you in a number of additional ways. Since black cumin seed has been used in medical settings for millenia, it means it’s on the radar of research scientists. It just doesn’t seem to be getting the attention it deserves. Here are just a handful of reasons you may want to add black cumin to your supplement regimen. My focus on thyroid health is what originally led me to investigate black cumin seed. In a study by the journal, BioMedical Central Complementary Alternative Medicine researchers performed a randomized controlled trial where they tested the effect of black cumin seed versus a placebo. The researchers recognized that the individuals in the trial would benefit from improved thyroid levels. In the study the researchers took 40 people between the ages of 22 and 50 and randomly split them into two groups. If the individuals happened to undergo any kind of dietary changes, or the state of their thyroid changed the researchers took note. The subjects serum VEGF and Nesfatin-1 concentrations were also measured. At the end of the trial, the subjects who took the black cumin seed saw their body weight and body mass index (BMI) improved. Along with that, their serum concentrations of thyroid stimulating hormone (TSH) and anti-thyroid peroxidase (anti-TPO) antibodies also improved while the serum T3 concentrations increased. Plus, black cumin seed caused serum VEGF concentrations to rebound closer to normal. Those taking the placebo didn’t see any of these improvements. This led the researchers to conclude black cumin seed was an effective way to keep the thyroid healthy. As you discovered above, black cumin seed acts as an antioxidant. The reason antioxidants are beneficial for your health is they have a unique power to protect your body from the dangers of free radicals. I’ve talked about this extensively in my articles, but it’s important you understand just how free radicals can affect the function of your cells. Black cumin seed’s antioxidant power helps to neutralize the effect of these free radicals. Basically, black cumin seed is a bodyguard for your cells, keeping them safe from harm that could lead to future problems. A healthy immune system is necessary for resisting the advancement of bacteria, viruses, and the onset of certain conditions. It should go without saying that in order to support perfect health, you’d want to support how your immune system functions. Black cumin seed has been shown to enhance how your immune system functions and may be able to keep you healthy in circumstances where compromised immune function may lead to later health problems. There are studies showing it can help fight bacteria, fungus, parasites and even viruses. It’s believed the way it does this is by helping your immune system defend your body from invading macrophages by giving your helper T-cells the support they need to mount a robust immune defense. Plus, antioxidant activity keeps cells healthy which means your body can divert energy to your immune system to help keep you well. The health of your cardiovascular system is affected by cholesterol levels. For your heart to function optimally you want to keep your cholesterol in the normal range. Black cumin seed has been shown to improve cholesterol levels which may have an impact on heart health. Another way it may improve heart health is because it’s a powerful antioxidant. Antioxidants have been shown to help blood pass through arteries with greater ease as they help to prevent oxidized cholesterol from interfering with how your heart beats. While black cumin seed may have been used for hundreds of years in traditional medicine, it’s only recently started to gain popularity in the U.S.
And because it’s a relatively unknown supplement, there aren’t many places to get it. To help give my patients access to this powerful healing breakthrough, I’ve started bottling my own.